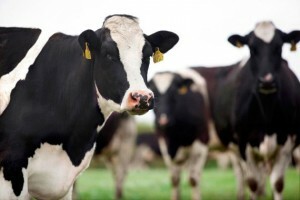 April 1st, 2015 marked a new era for dairy in Europe with the abolition of the EU milk quotas, which had been enforced for more than three decades. The system was scrapped to allow EU dairy businesses to compete with international rivals in supplying fast-growing markets in Asia and Africa. Ireland, in particular, is expected to increase its milk output from five billion litres to eight and a half billion litres by 2020. 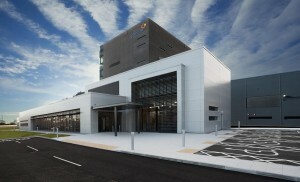 In preparation for the generational opportunity offered by the removal of EU milk quotas, Glanbia Ingredients Ireland (GII) executed a €235 million investment programme including: the opening of a new milk protein plant in Virginia, County Cavan; an expansion of its butter facility at Ballyragget, County Kilkenny to a capacity of 80,000 tonnes and the launch of its hi-spec infant formula standard facility at Belview, County Kilkenny. By 2020, Glanbia’s 4,800 milk suppliers expect to increase milk production by 63%. At the time of quota removal, GII was processing 1.8 billion litres of milk or 30% of Ireland’s milk pool. So, almost twelve months on, how has GII progressed? GII’s milk suppliers have produced 22% more milk over the nine-month period from April–December 2015 versus the same period in 2014 with 85% of farmers having expanded, and GII has processed 25% more milk by taking in-house some of the volumes sold out in previous years.. While inclement weather in recent weeks has limited the ability to maximise farm output, current calving numbers indicate a considerable increase for 2016, which has already been reflected in January-February volumes that have increased by about 20% over 2015. Milk production in Ireland is predominantly grass based, with the majority of herds calving in the spring and concluding their lactations in November/December. GII’s state of-the-art nutritional ingredients plant at Belview completed its first season in October 2015 having processed 311 million litres of milk, producing 36,500 tonnes of high quality powder products. All product types were successfully manufactured – Whole Milk Powder (WMP), Skim Milk Powder (SMP), Enriched Milk Powder (EMP), Skim Milk Concentrate (SMC) and Cream. The winter period at Belview afforded the opportunity for significant optimisation work to be completed across the Plant following its first production season. Considerable progress has been made in gaining all-important approvals for the supply of infant nutrition products and production of commercial volumes has now commenced. 2016 will see the facility deliver on its first full year of commercialised production for infant formula grade milk powders. While milk production is on the up, the challenge lies in the decline in market returns. The world produced 4.5 billion litres more milk in 2015 while import demand for dairy products remained stable. Stocks had already accumulated after the strong increase in 2014 milk supply (+10 million tonnes). However, medium term prospects for world dairy product consumption and imports remain positive. World imports are expected to increase by 2% annually, an average increase of global imports of 1.5 billion litres in milk equivalent per year. 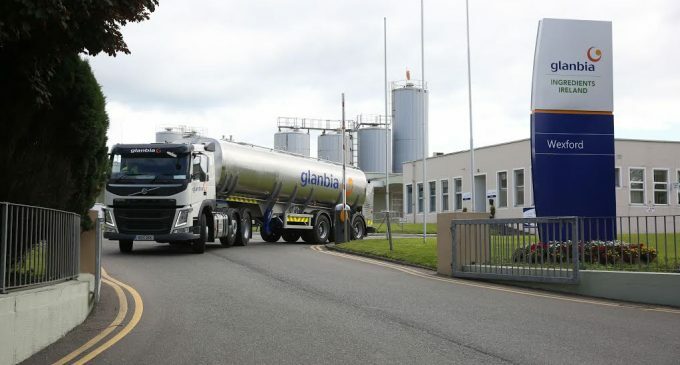 In reaction to this, Glanbia Ingredients Ireland has secured two Fixed Milk Price Schemes for its suppliers: Phase 6 at a price of 30.25cpl for eighteen months and Phase 7 at a price of 29cpl for almost three years. Additionally, GII has launched a ground-breaking €100m MilkFlex Fund which is available to all Glanbia Milk suppliers in the Republic of Ireland who have a signed Milk Supply Agreement. This competitively priced loan scheme is unique in that its repayment terms can alter in line with movements in Glanbia Ingredients Ireland’s manufacturing milk price. When milk prices are low, repayments are reduced; as milk prices stabilise, normal repayments recommence, and in times of good milk prices, repayments accelerate.